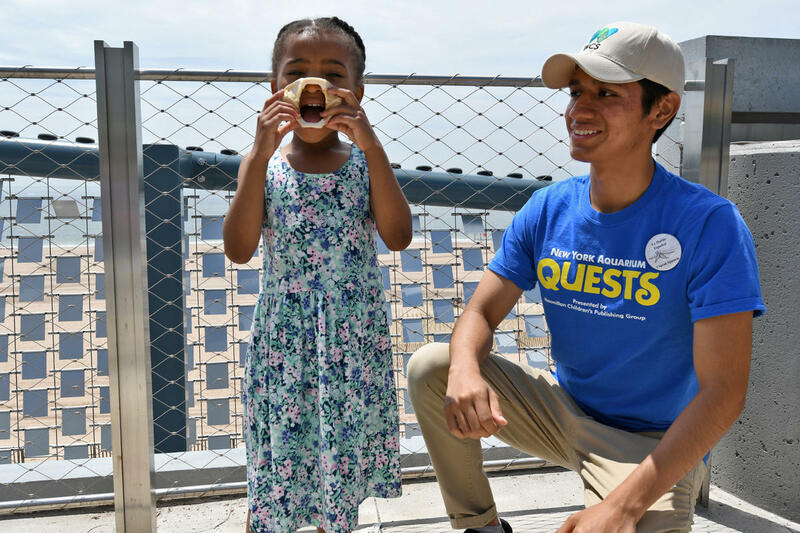 Join us for a free, family-friendly Quests adventure as you travel around the Aquarium. You'll learn about sharks and other amazing ocean animals. Together we will find out what we can do to help the planet for our ocean friends. Look for a Quests leader in a blue T-shirt to begin your adventure. Plus, don't forget to share your experiences on social media with #WCSQUESTS . Download the Quests map brochure.